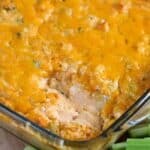 Keto Buffalo Chicken Dip is the perfect low carb appetizer! 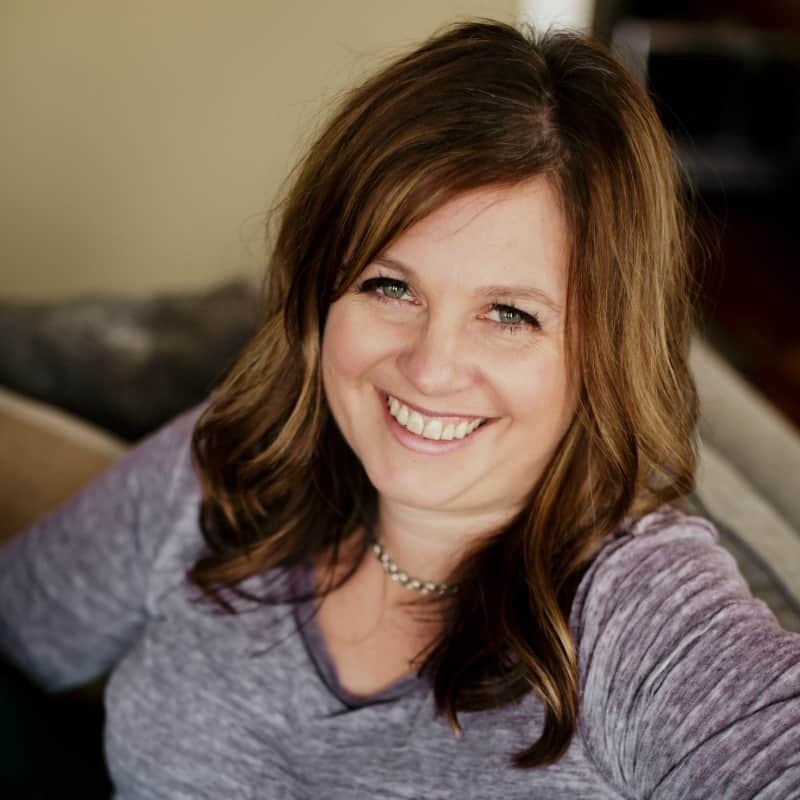 Everyone, even my non-low carb friends, goes crazy for this recipe! This keto friendly version features chicken, green onions, and cheese are tossed in a cream cheese buffalo mixture, topped with even more cheese. Bake this dip until hot and bubbly and serve it with fresh veggies for an unforgettable appetizer. 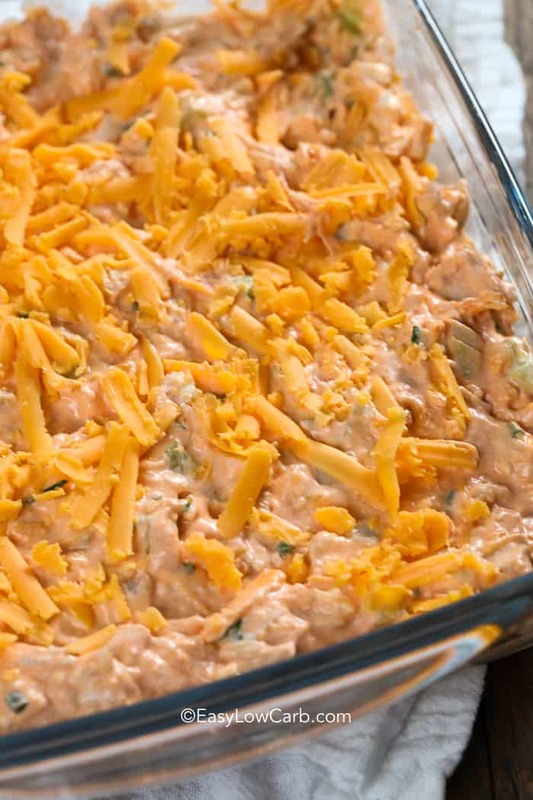 Hot buffalo chicken dip is one of my signature dishes – I am known to bring it to just about every potluck or cookout. It is always gone super quickly! I like to put out crackers and veggies so people have a low carb and healthier option available. Appetizers can be a difficult thing to enjoy when you are living a keto or low carb lifestyle. Everything people bring somehow involves potatoes, pasta, bread, crackers… the list goes on. 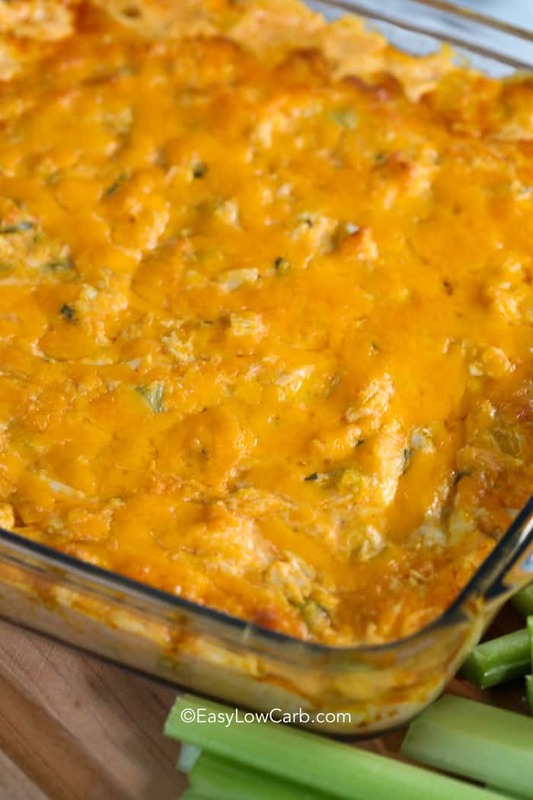 The perfect solution is to WOW them with this buffalo chicken dip! The buffalo chicken dip is super creamy and not too spicy (add a little more buffalo sauce or even diced jalapenos if you’d like a little more kick). We bake it until it is hot and bubbly and top it with a melted layer of cheddar cheese. Add some dippers like celery or zucchini sticks and you have yourself the perfect new recipe to add to your appetizer roster! Buffalo chicken dip is actually super easy! MIX: Mix your cream cheese, buffalo sauce, and ranch dressing. I like to use a hand mixer when I do this, because it whips air into them resulting in a light and fluffy dip. ADD INS: Next, fold in your celery, onions, chicken, and cheddar cheese. Don’t over mix at this point so you don’t break up the chicken too much. Your dip will be pretty thick until it is cooked which is totally okay! SPREAD: Spread your buffalo chicken dip into a 9×9 inch pan and top it with the remaining cheese (if you add a little extra, I won’t tell anyone). BAKE: Bake this bad boy at 350°F for until bubbly melty. SERVE: Serve it with celery sticks or zucchini while it is still warm! If you are making buffalo chicken dip ahead of time, do every step except for bake it. Just cover it with plastic wrap and bring it with you to pop into the oven when you arrive! If you want to prepare buffalo chicken dip in advance and freeze it, you shouldn’t have too much difficulty. Omit the cheese on top of your dip, and add it right before you bake it. If you are using a glass dish, remember to defrost it before sticking it in a hot oven so it doesn’t crack from the temperature change! 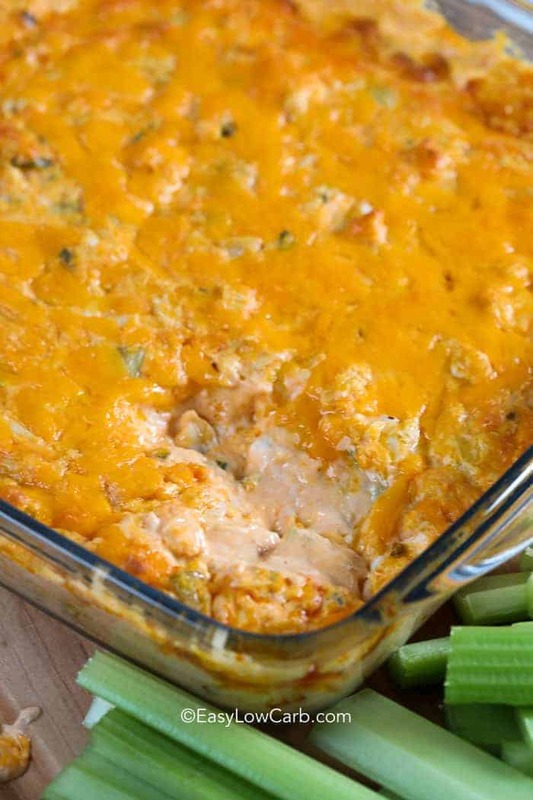 Buffalo Chicken Dip is a delicious low carb appetizer with tender chunks of chicken and celery bits. Mix buffalo sauce, cream cheese and ranch dressing with a hand mixer until combined and fluffy. Fold in celery, onions and chicken and 1 cup of cheddar cheese. Spread into a 9x9 pan or casserole dish and top with remaining cheeses. Serve with celery sticks or zucchini slices for dipping. You say fold in celery. Don’t see it in ingredients place. I see mozzarella cheese but when do you add?? Sorry about that, the recipe has been updated.